Not at all surprised it has been snapped up for the movies and no doubt a host of sequels are on the way. 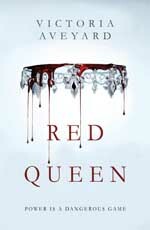 Victoria Aveyard has synthesised all the great tricks of fantasy and produced something exciting and original. If you like Divergent as they say, you will like this.